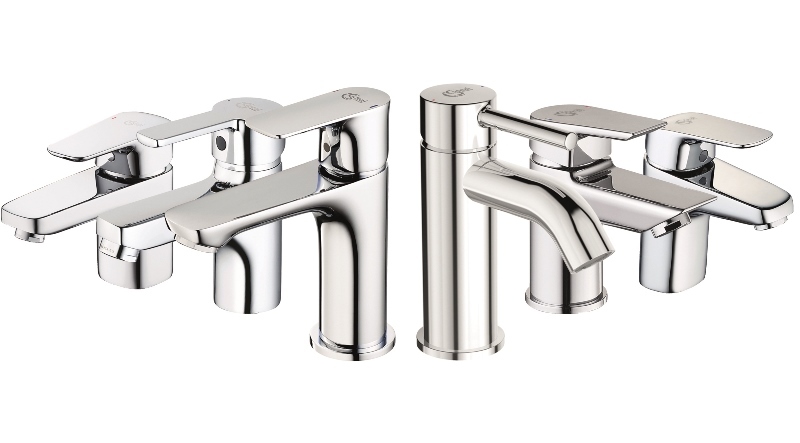 PHPD takes a look at the new range of taps recently launched by Ideal Standard. ‘The devil is in the detail’ – it’s a phrase well-suited to most situations, and when specifying a bathroom or cloakroom in a new home it is certainly the case. All elements of the room are vital: sanitary ware, tiles, bath, furniture, shower and, of course, taps. To give housebuilders a more comprehensive selection of taps to consider, Ideal Standard has launched a brassware collection of six ranges for the residential market. The latest German-engineered collection features taps and mixers designed to work in harmony with contemporary bathrooms. The launch comprises brassware products from six core Ideal Standard ranges: Calista; Ceraflex; Ceraline; Tempo; Tesi and Concept Air. Each has its own unique selling points to meet the needs of different end-users. At the more premium end of the scale, the Concept Air tap includes distinctive super slim and tall vessel mixers which use a slender high performance ceramic cartridge. Meanwhile, Tesi is the perfect choice for bathroom settings which demand premium aesthetics, featuring refined design elegance. The company’s Tempo range features a combination of gentle curves and straight edges making it versatile enough for use with both round or square bathroom suites. Additionally, Ceraline possesses an iconic cylindrical body shape. The availability of high and low-pressure variants makes Ceraline a great choice for use in both new build and bathroom improvement projects. Thanks to the incorporation of Ideal Standard’s FirmaFlow technology, Ceraflex has been tested to last almost twice as long than the industry standard, with an estimated lifespan of 10-15 years of daily usage. All of Ideal Standard’s new brassware products come with a five-year product guarantee and are backed up by a spare parts service.